Fears of tuberculosis loom over one Texas school district where hundreds of students must be tested this week before returning to classrooms in late August. On Monday, Fort Bend County Health & Human Services (HHS) announced that 647 students and 27 faculty members at George Bush High School, who were potentially exposed to a case of active tuberculosis on campus in May, must undergo TB blood testing on Thursday, August 3. County health officials set up testing for them in June. Although only 228 people appeared, Fort Bend HHS identified 11 new TB blood-positive cases. They will conduct this second round of testing for the notified students and staffers not previously tested or requiring retesting. TB is caused by Mycobacterium tuberculosis. Breitbart Texas reported the illness spreads from the coughs, sneezes, wheezes and other respiratory fluids of a person with an active infection. While typically considered a lung affliction, it can affect other organs in the body. Health officials say it takes prolonged and close contact with an infected person to catch TB. When someone tests positive for TB but does not get sick it is classified as latent TB infection (LTBI). A person with active TB manifests symptoms like chest pain, muscle fatigue, weight loss, lethargy, and coughing up blood. 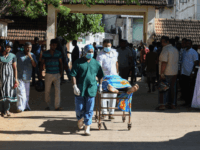 Active TB can spread rapidly. The new school year in Fort Bend ISD begins on August 22. According to the district, 2,276 students attended George Bush High in 2016-17. Presently, little else is known about the origin of the school’s TB outbreak and federal privacy laws protect student information. Breitbart Texas spoke with Fort Bend County HHS Deputy Director Kaye Reynolds. Although she did not address inquiries regarding the current high school TB testing or any demographic information on “patient zero,” she said that, in 2016, the county reported a total of 27 TB cases within the general population: five of these cases were U.S.-born individuals, five cases originated with people who came from Central and South America, 11 were persons of Asian origin, and six, she listed as “other.” Reynolds did not identify if TB cases were active, blood-positive, or latent. Reynolds clarified that Class B referred to latent TB where B1 reflected an abnormal X-ray requiring further testing and B2 meant individuals looked fine but the county health department still sent them on for further precautionary treatment. 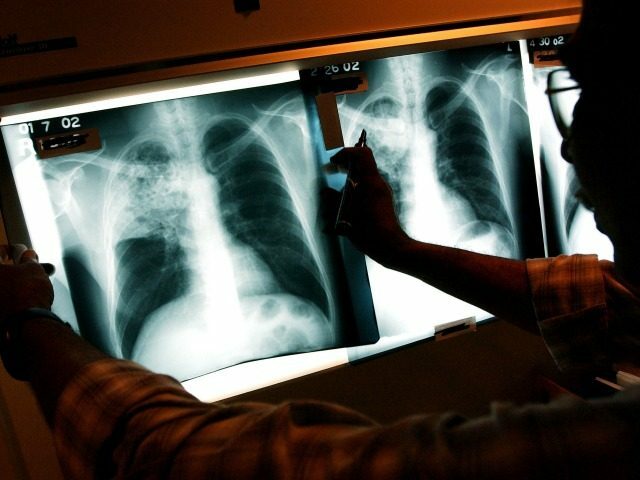 In 2015, the CDC attributed 66.4 percent of reported U.S. TB cases to foreign-born persons, reflecting a case rate roughly 13 times higher than among their U.S.-born counterparts.